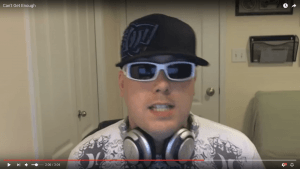 You can find me just about anywhere on the financial web, I’ve even appeared in a rap video, or two. My original blog, MapleMoney (previously Canadian Finance Blog), is still where I do most of my writing. However, since starting my blog, I’ve expanded to include Financial Highway to cover personal finance for a U.S. audience. I also write about lifestyle at Live Rich, Live Well and you can find information about entrepreneurship and online marketing at Create Hype. Read and subscribe to these blogs to find the information you need to improve your finances, your life, and your business. I love podcasting. I’ve been a guest on numerous podcasts in the last several years, talking about money and business. In addition to appearing as a guest, I’m also a permanent panelist on the Money Mastermind Show. This is a no-holds-barred look at money with perspectives from different financial experts. Subscribe to the Money Mastermind Show in iTunes and Stitcher. We’re not always releasing something, but when we do, it’s usually pretty good. Not only do I have several homes online, but you can also find me in print. 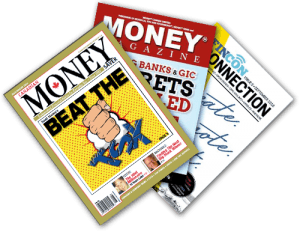 I regularly contribute to Money Magazine, FinCon Connection, and Canadian MoneySaver. You can also find me in online magazine publications. I’m available to write articles for publications. If you’re looking for someone to provide an expert outlook on financial subjects, let me know. I reach new audiences through my writing online. I’ve written for a number of financial and business websites, sharing my journey as an entrepreneur. I love writing for other sites, especially since sometimes it gives me the chance to research topics I might not be familiar with and brush up on topics I haven’t addressed in a while. There have been plenty of sites, from Business.com to AllBusiness to LowestRates.ca that have invited me to contribute. I’m always happy to contribute if you’re looking for writers to cover topics related to finance, entrepreneurship, small business, and marketing.